I have read Arclight (my review) and loved it–I found McQuein to be so creative and loved the world she created. You can see more details in my interview with her. 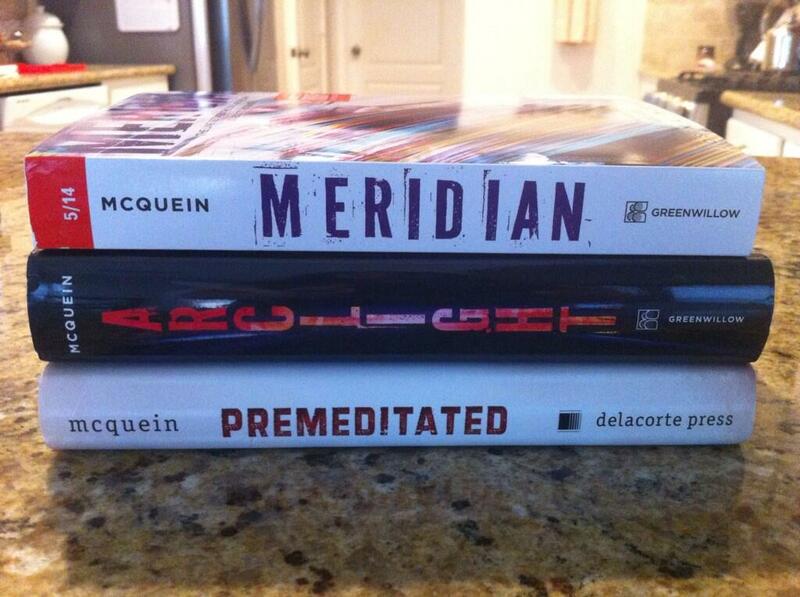 I am so excited to have a physical arc of Meridian to read and add to my collection. Premeditated isn’t my typical genre but I’ve read really positive reviews and it’s written by Josin so that’s a winner. So excited about all of these! Last year I was on the blog tour for the first book in this series, Shadows (interview with Paula Weston). I loved it and have been crazy eager to be able to read the second book. I am so thrilled I was able to get an arc. Thank you! I have heard amazing things about Plus One and had a very good friend (looking at you Jen) tell me she thought I’d enjoy it. I had to request it right away and have already started reading (about 15% in) Loving it so far. Hungry sounds….sort of silly to be honest. But for some reason I felt the need to read it anyway. I loved Some Quiet Place, I felt Sutton wrote so beautifully and I love her personified emotions. You can read my interview with her here. This week was stellar in new releases. 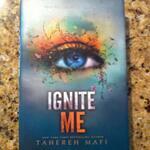 I had to run out and purchase (and read) Ignite Me immediately. I have read it already and liked it though I had a couple things I would have enjoyed more of. I don’t actually know if I’ll review this one on here or not. 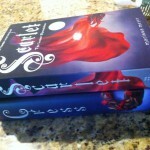 I had to buy the paperback of Scarlet because my blog is mentioned! So exciting. I’ve heard great things about Landry Park so had to get that one as well. Trust me, I could have purchased a lot more books but tried to limit myself. I can’t believe we are a week into February already. I’ve already strayed from my reading schedule for this month but I hope to be able to read all the books I hoped as well as the ones I’ve slipped in (Ignite Me and Plus One). 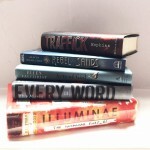 This week I was able to finish Vicious by Victoria Schwab (amazing as expected) as well as Death Sworn by Leah Cypess. Interview with Michael O-the artist behind the Lunar Chronicles books. 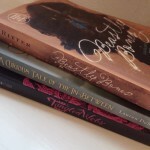 Be sure to enter to win one of the 3 books (winner chooses, INT). You can enter here. Next week I am thrilled to be on The Winner’s Curse Blog Tour (tour schedule). My blog will kick the tour off this Sunday (tomorrow) with some really beautiful insights from Marie Rutkoski as well as a giveaway. Be sure to stop back by! Eeek! If you loved Shadows, I think you’ll love Haze even more. SO GOOD. Love that series. And I’m so glad you’re enjoying Plus One. I think I love it even more now that it finally has that awesome cover to go with the beautiful story. Congrats on the Josin L. McQuein win! I’ve got an ARC of Meridian and one of Where Silence Gathers on their way to me, so I’ll be reading those soon, too. Hope you enjoy all your new reads!!! I can’t wait to start Haze! I’ve heard this series just gets better with each book. So pumped to have it in my hands. Perhaps Meridian will be a read-along book? Ooooh, what a fantastic haul!! Congrats on winning such a fantastic giveaway! 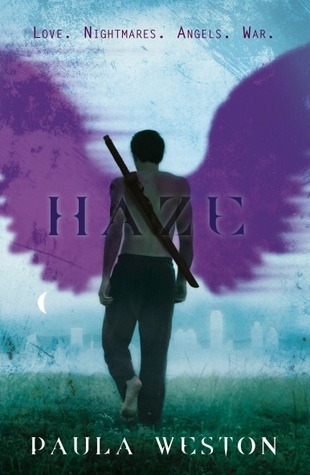 And YAY for getting Haze from the publisher, I know you really wanted to read it! I still need to read the first book, hopefully soon! Thank you Pili! I was shocked I won! There was some dancing to be sure. I had to reread the email twice. I was beyond thrilled to get Haze. I’ve been crazy eager for it. Plus One has a beautiful cover indeed. You got a lot of books this week. 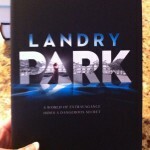 Curious to see what you think of Landry Park. Heard some mixed reviews. 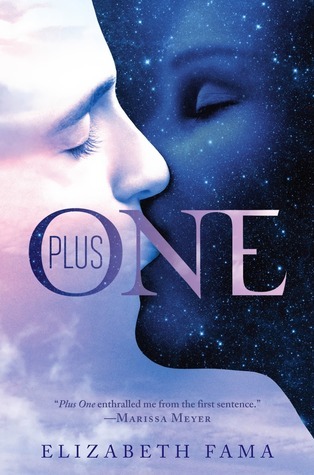 I LOVE the Plus One cover. So beautiful! 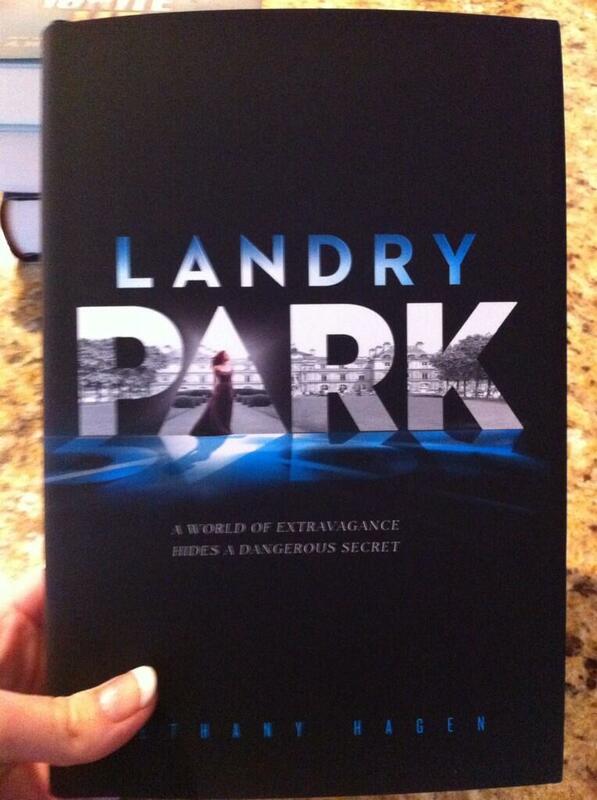 I’d not seen the mixed reviews for Landry Park…I hope it’s wonderful. Thank you for stopping by! Ah, Meridian! Can’t wait to read it! I just got my copy of Cress the other day. Sadly, I can’t read it quite yet. But I will soon! Aww, so hard to wait on a book you are eager to read. Hopefully your schedule opens up soon and allows you to make the time. I think you’ll love it! I wasn’t part of Scarlet or Cress…maybe for Winter we’ll both be on the tour? We can hope! Cress is so pretty in person…more so than I even expected. I think it’s the prettiest of the series (so far). They look great! Hope you can stop by mine. You should give Arclight a read! I was surprised by how much I loved it. 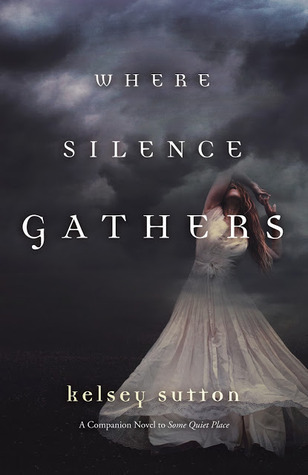 So excited about Where Silence Gathers—just the best titles and covers! CRESS AND SCARLET! Scarlet is my favorite in the series. I am curious about Where Silence Gathers! It has a cool cover. OH OH and Josin McQuein seems cool, congrats on winning her contest. I really liked Arclight and am looking forward to Meridian! It’s really hard to pick a favorite of the series but maybe Cress? I don’t know, they are all so wonderful. I know Winter will blow us all away. I love the cover for WSG! So cool. Thanks for dropping by! 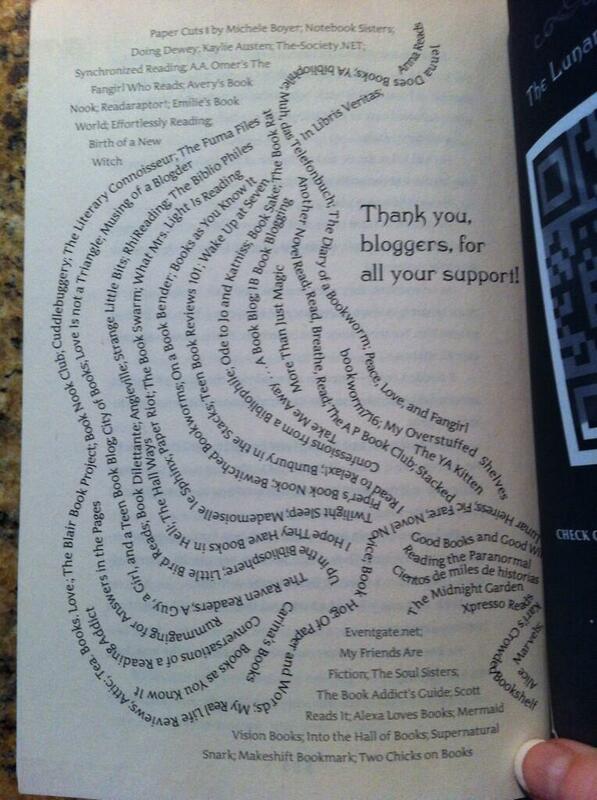 Congrats for being mentioned on the paperback of Scarlet! What an honor! I’ve heard such good things about the Rephaim series, I’m eager to see what you make of the second installment, Kristen. I requested Plus One on NetGalley but I got rejected. 🙁 I guess I’ll just have to buy the book then! 🙂 Landry Park is high up on my TBR list this year. I need to grab a copy! You’ve got such lovely books this week! Enjoy the bundle! 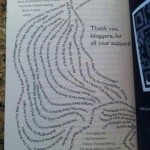 I was beyond thrilled to have my blog in the Scarlet PB. I’d say a blogging highlight for sure. I really enjoyed Shadows and I’ve heard that Haze is even better. Very excited. I hope you get to read them soon. Oh no about Plus One rejection 🙁 It is so hit and miss on NetGalley–at least for me it is. Thank you for stopping by Marlene, have a great week! 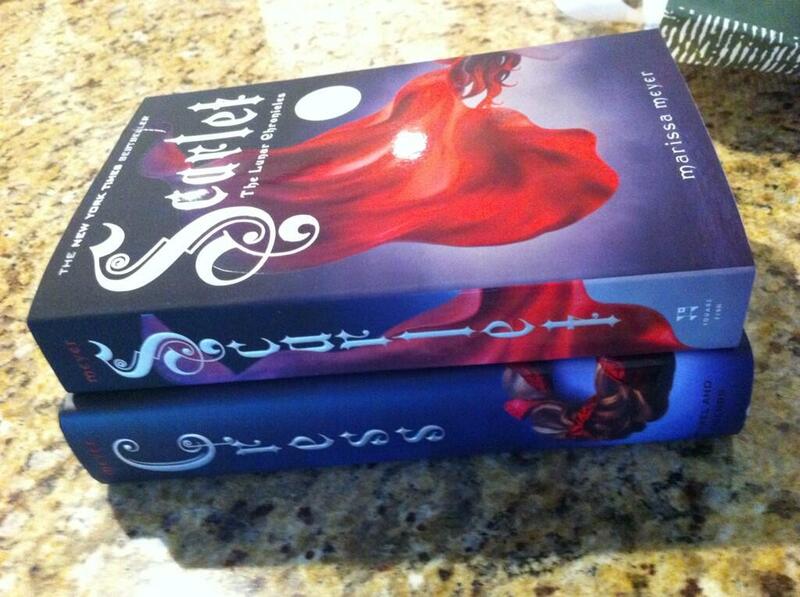 Yay I’m glad you purchased Scarlet and Cinder, they are some of my favourite books! 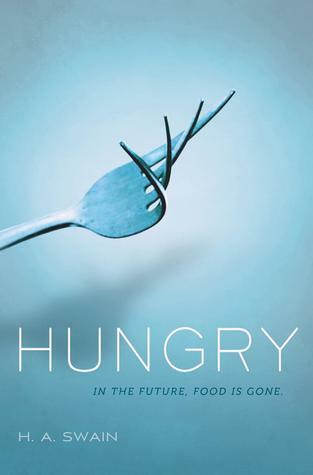 I haven’t heard of Hungry or Plus One yet but the covers look really artistic. (Been trying to stay off Netgalley). I hope you enjoy all of your reads this week! Here’s my STS this week. The Lunar chronicles are such good books! And Marissa Meyer is so nice. I was really good at staying off NetGalley but last week I just couldn’t take it anymore and had to jump on. You see how that resulted. Cress! It was so good. I haven’t bought my finished copy yet, but soon! Also, I’m certainly jealous anytime I see someone get signed books! Thank you Megan. Cress is so beautiful! Even prettier than I thought it would be. I’m excited that you are finally starting the series. They are so much fun and written so well, I hope you love them! Great haul! Plus One looks really good, I really want to read that one myself. I hope you enjoy all of your books 🙂 My STS. I’m about 20% into Plus One and it’s very good. Hoping you get to read it soon! Nice haul this week. Plus One sounds awesome. I can’t wait to read it. I hope you love it. What an awesome prize to win from Josin McQuein! I really enjoyed Arclight and am looking forward to the sequel. I’ve only heard great things about Plus One too! I’m excited to read it. Enjoy! Congrats on the mention in Scarlett. That’s so amazing and cool!! I’ve heard great things about Landry Park, as well. I actually have it on my Kindle, but haven’t gotten to it yet. I have Premeditated checked out right now, and am hoping to get to it soon. Great haul! I am sooooo excited for Meridian! I received an ARC from EW, and am hoping that I feel like reading it soon. I am very nervous though because I have a ship and I don’t want it to sink. Premeditated was very good, if a little predictable in regards to the plot twists. But the relationships between the characters were made of win. Haha, I’ve strayed from my reading schedule so much this month. But I’ve already read seven books, so I’ve come to realise that maybe a reading schedule isn’t for me. AHHH It’s been way too long since I was at your blog! AND IT’S ALL CHANGED! So nice and sleek. ^_^ And ohh, yay for Scarlet and Cress! I have the edition of Scarlet with the blogs in the back too and I still have a small flailish moment because my blog is mentioned on the list ahhhh! *intense fangirl moment* xD I own the third Paula Weston book but I haven’t read the first two. I need to get onto that because I only ever hear people rave about them!